Watch the full overcoat interview with Co-Head Cutter, Dario Carnera here. What is the difference between a top coat and an overcoat? They are the same thing- the names originate from when you would wear a top coat over a jacket. The main things to remember when ordering a top coat are getting the weight and the length correct for your needs. The colder it is, the longer and heavier you need. 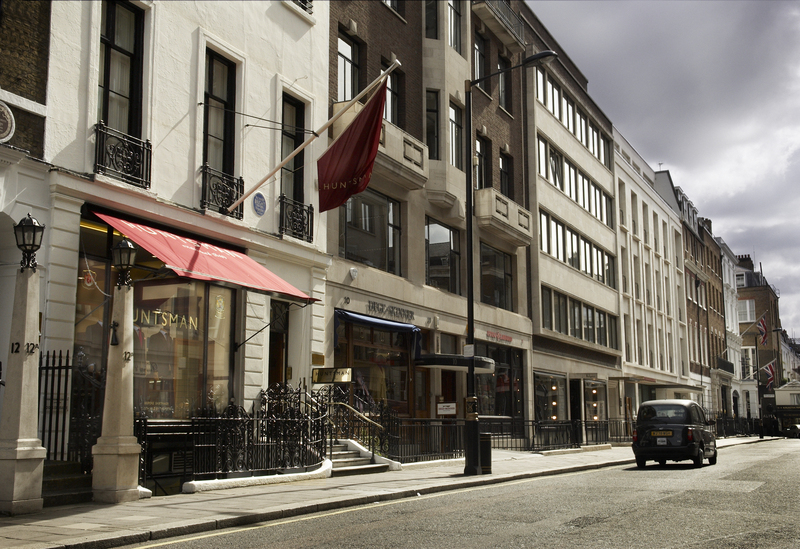 You will also have to consider the type of lining you need to suit your needs- a satin lining is generally used for overcoats, however if it is really cold, you may go for a cotton-back twill, which is incredibly insulating. 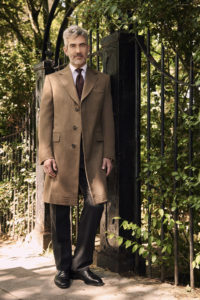 Formality is also a key factor to consider when ordering a top coat, whether you are wearing it in the country or city. You would wear a raglan sleeve for a more casual look, often made from tweed for a country overcoat. This is a type of sleeve that is cut up to the shoulder to the neck, compared to a normal sleeve that is cut to the shoulder. Conversely, you would traditionally wear a covert coat in the city. They generally have a velvet collar, stitched cuffs without buttons, and a fly front. A fly front is a type of fastening on overcoats, where the buttons are concealed- similarly to the fly on a pair of trousers. Clients may wish to choose a fly front fastening, as hiding the buttons give a cleaner, neater look. You would not have a double breasted fly front or a raglan sleeve fly front coat, as it is a formal detail. Covert is the name of the cloth, it’s a three quarter city coat that has evolved from riding wear. It used to be over 20 ounces, but now is between 16 to 18 ounces. 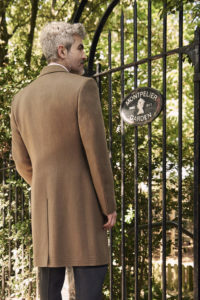 Is there a stand out Huntsman overcoat that you feel epitomises the perfect coat? 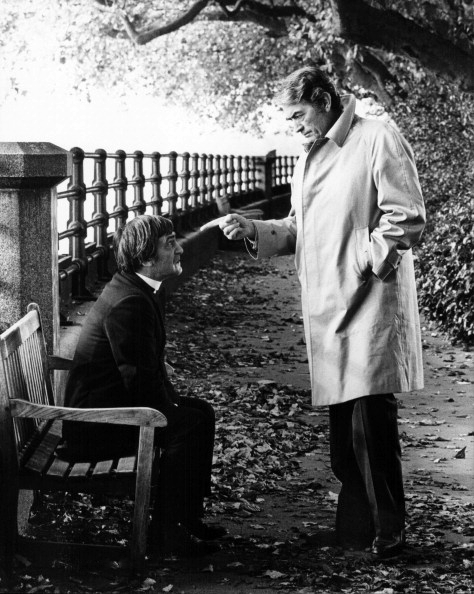 The overcoat we made for Gregory Peck in The Omen was incredible. It was a beautiful, exclusive Huntsman tweed, raglan sleeve top coat.